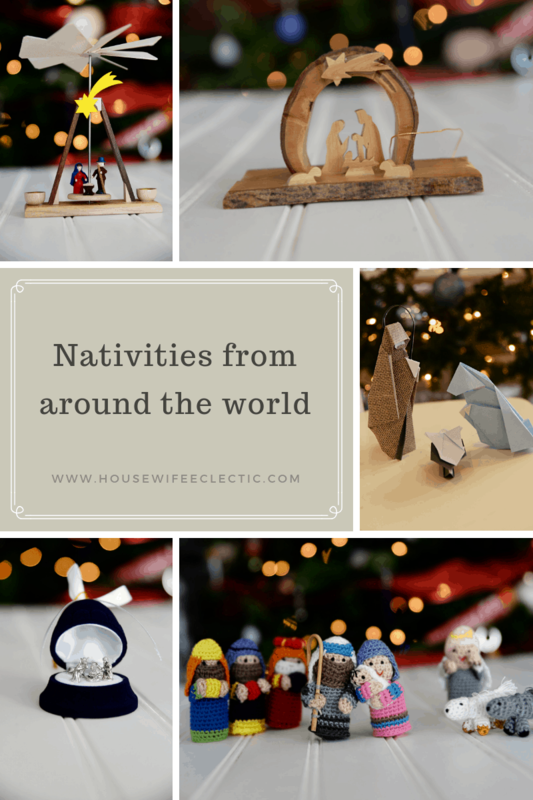 I have loved Nativities since I was a little girl and have been collecting them for about as long. 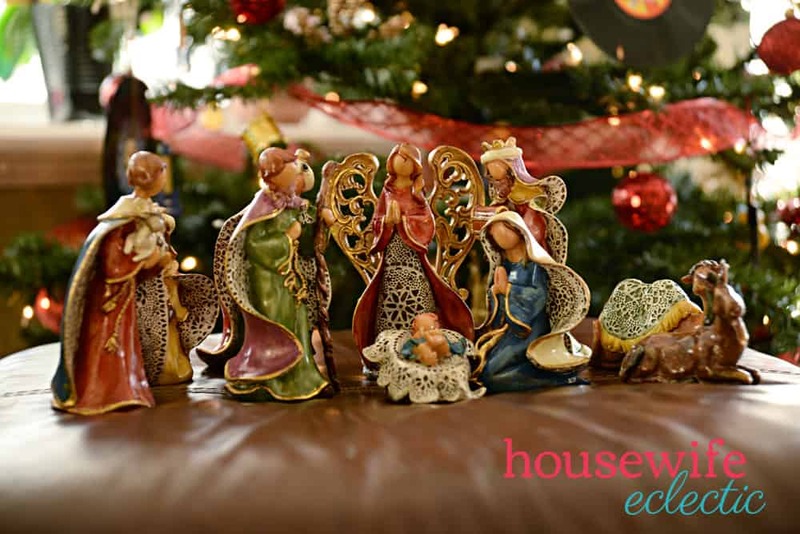 My family loves to bring them back for me from all over and I love putting each and every one out each season. Today I thought I would take you on a tour around the world with my collection. 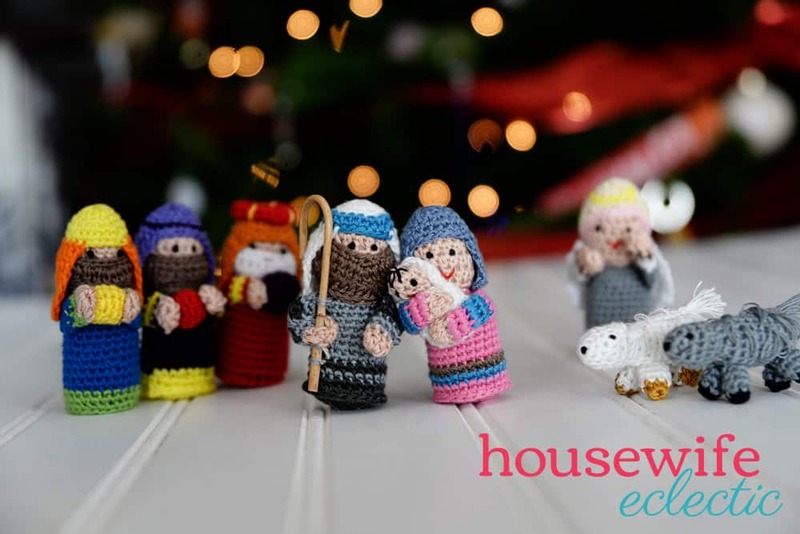 I am passionate about fair trade and if I am not buying directly from the Artisan for a fair price, I make sure to buy through a company that specializes in fair trade. It makes it even more special to know each of these helped someone support their family. This first nativity was purchased in Mexico when I was just a toddler. I have loved it my whole life. 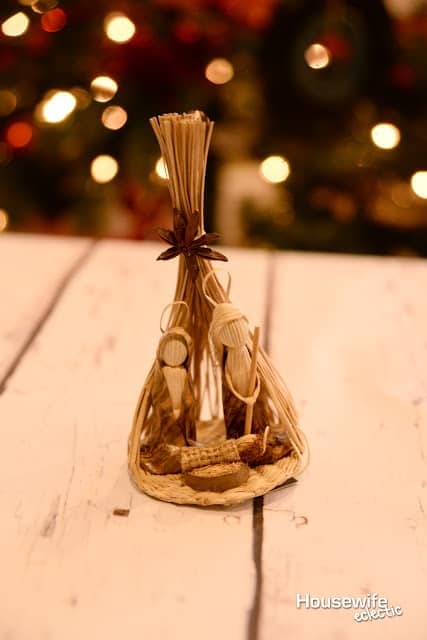 This sweet nativity is made from banana leaves and comes from Ethiopia. 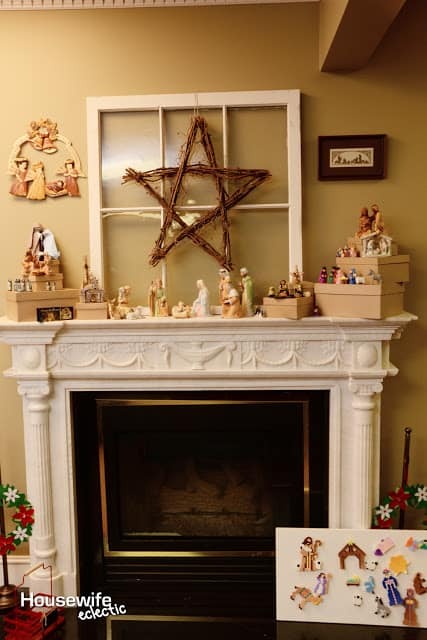 This nativity comes from Italy. I love that the baby comes out of the manger. This little one comes from Peru. My sister brought me this one from Costa Rica. This origami one is one of my very favorites. My husband made it and gave it to me for Christmas last year. 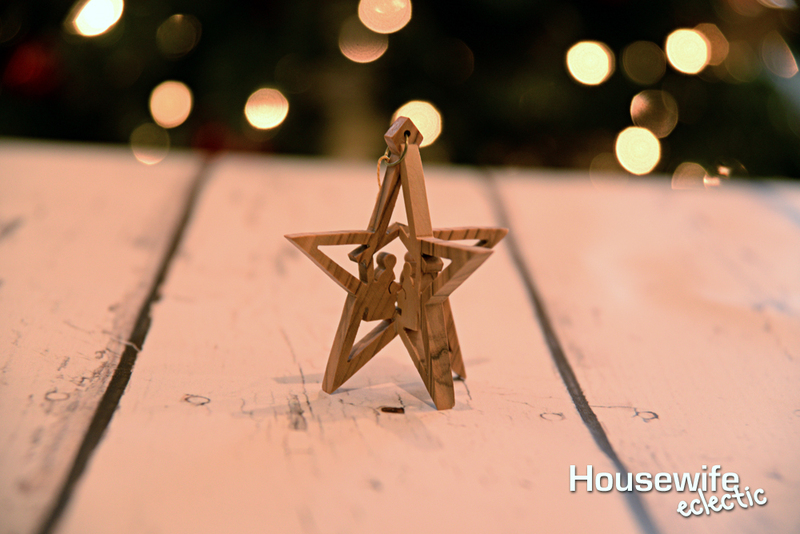 This metal one is all one piece, perfect for hanging on the tree. This one came from Haiti. 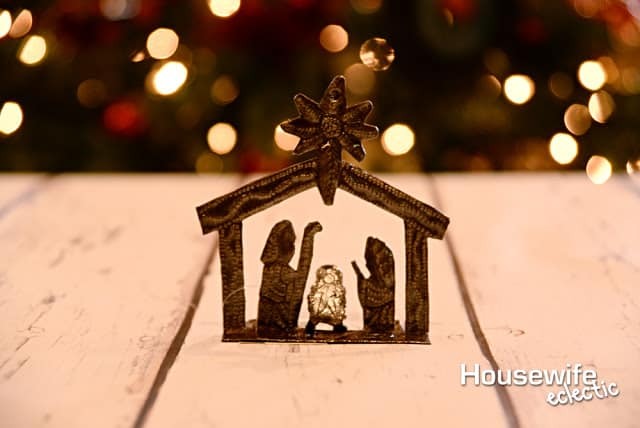 The nativity is in the center of a star and comes from the West Bank. A beautiful glass one that was a present. 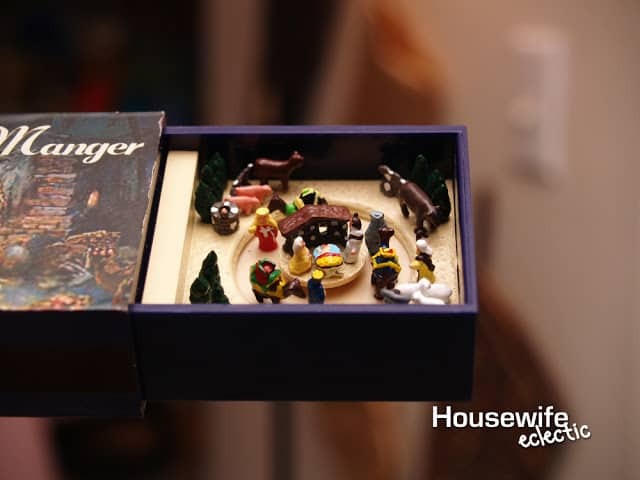 The Little People Nativity is one of my very favorites. 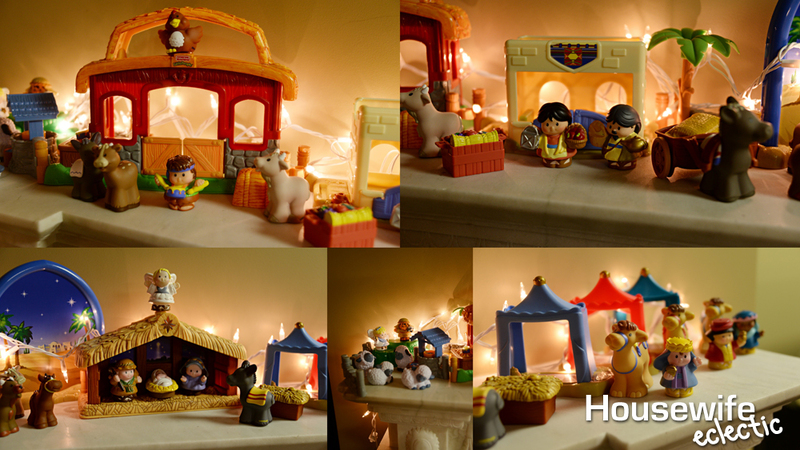 I have all of the expanded sets including the shepherds, the Inn at Bethlehem, the Little Drummer Boy and the Wisemen and their tents. I am glad I bought all of the sets when I did because some of them they don’t even make anymore. 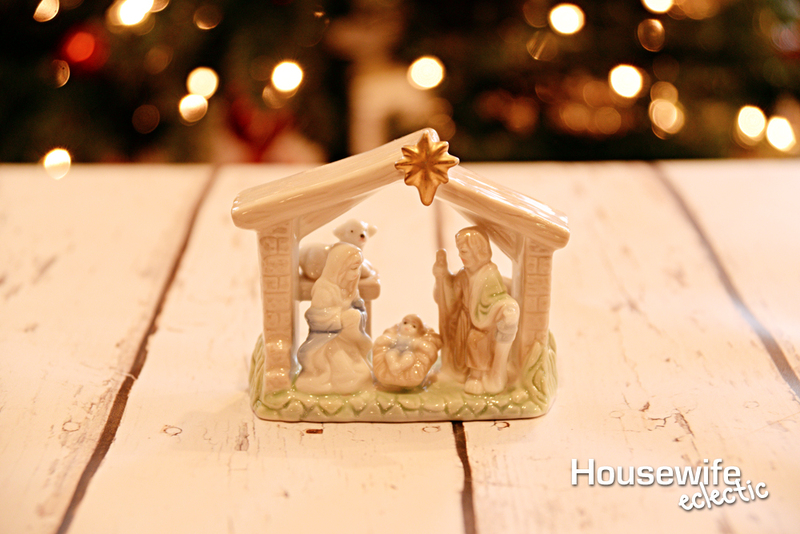 This was my very first Nativity. It came from an Avon catalog. I wish they had kept making them. My sweet mamma made this one for me. My husband made me this one this year. 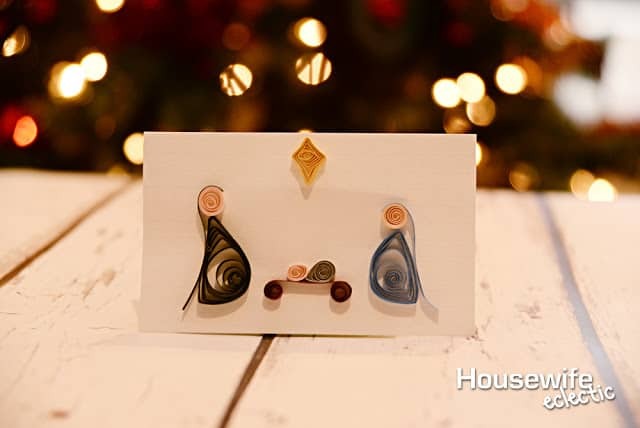 He has taken up quilling and I love it! 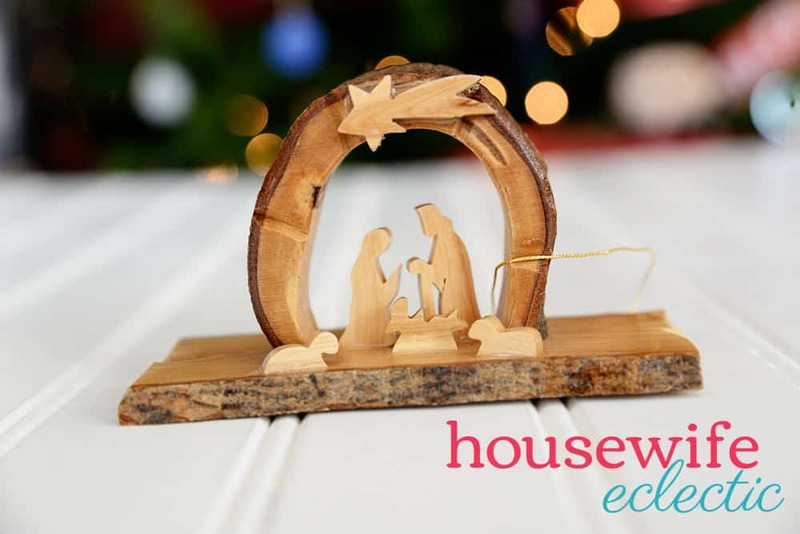 A fun little folding nativity. 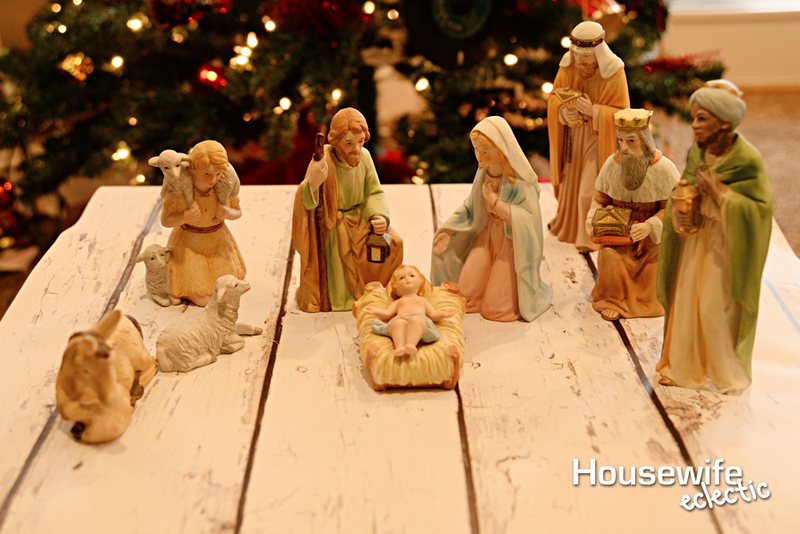 This one is my largest nativity. 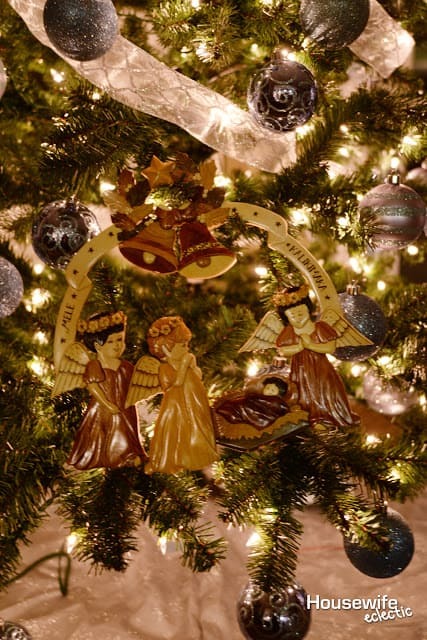 It was purchased as a gift from my parents because it is similar to the large one my mom has that I have always loved. The animal figures in this one make it one of my favorites. This one is from Peru. 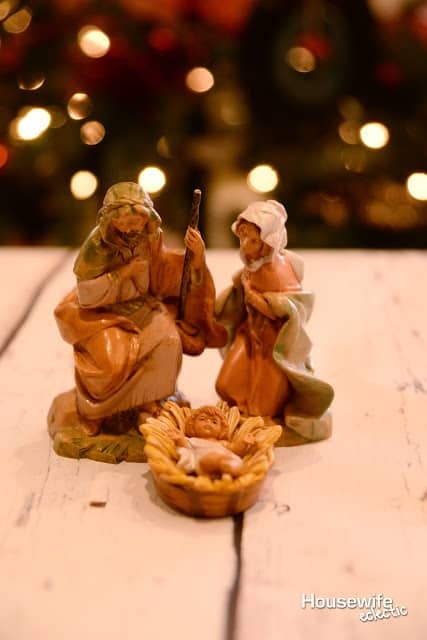 Both the one above and the one below are from Bethlehem. 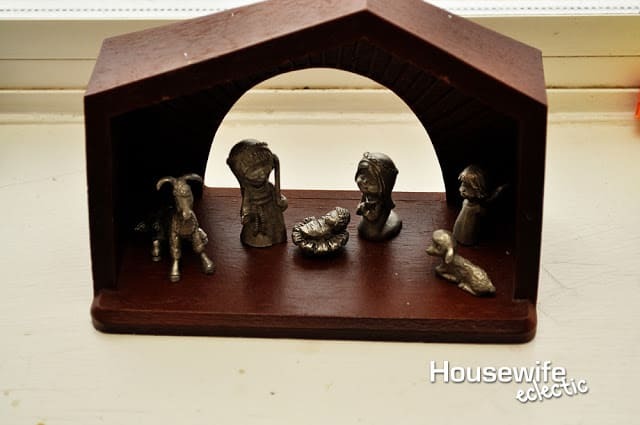 I have been looking for a small German nativity for years. 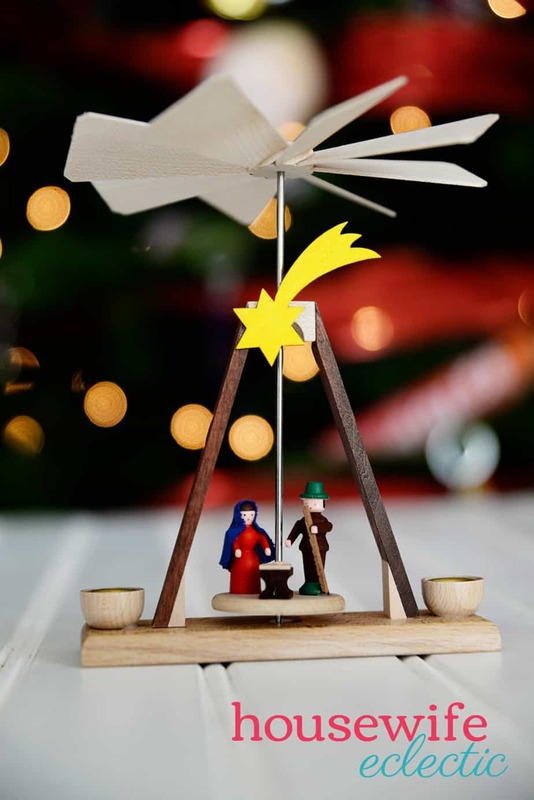 I wanted one that had the windmill on top and spaces for candles. I love this beautiful colorful one! This Igloo was sent from an Alaskan friend! So beautiful and fitting. 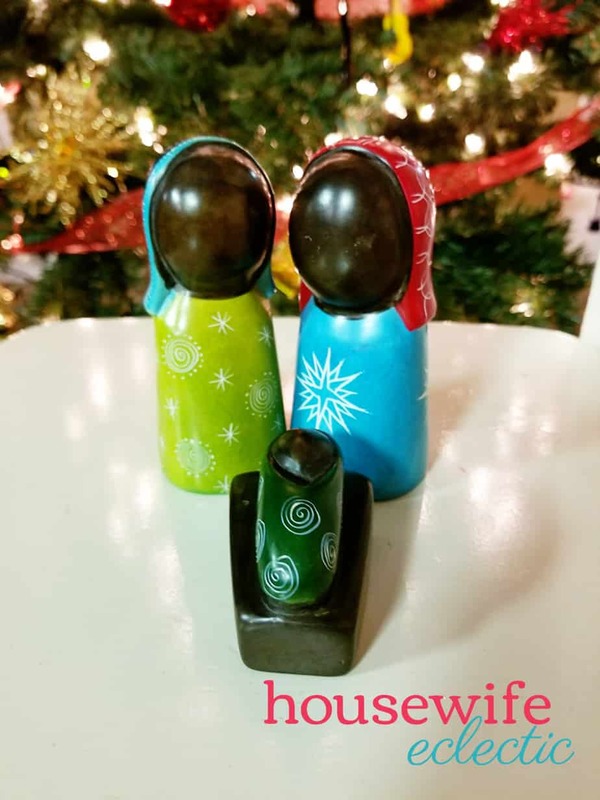 This Nativity was handmade in Kenya and it is one of my very favorites! The pieces are surprisingly heavy and so beautiful! 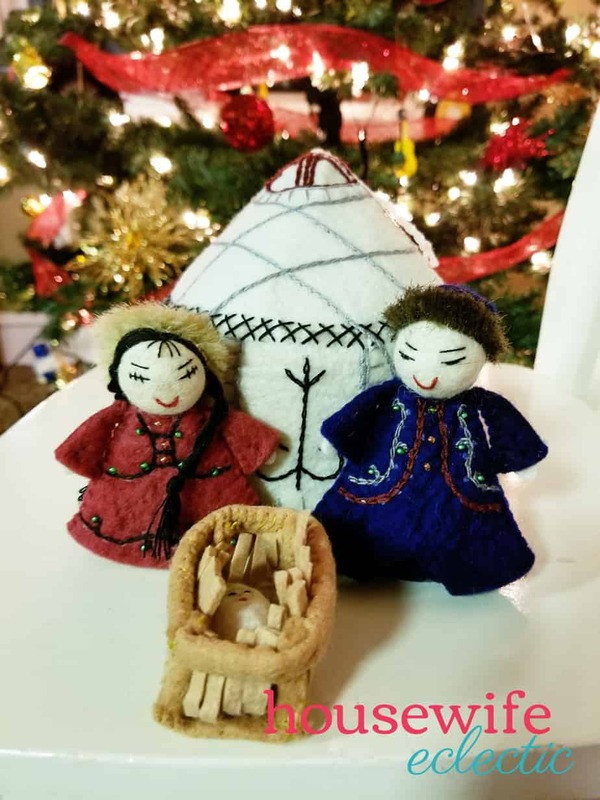 This beautiful set with a felted yurt was handmade in Kyrgyztan. 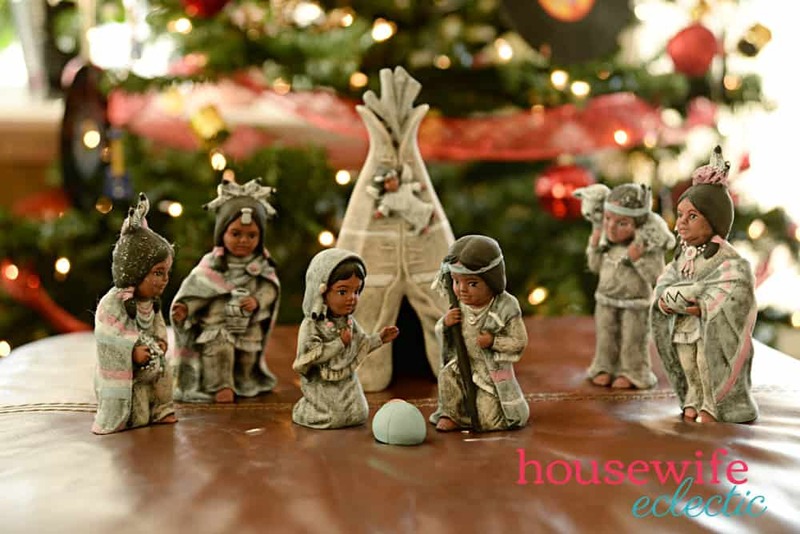 This beautiful Native American set was gifted to me and I love the chance to put it out each year. 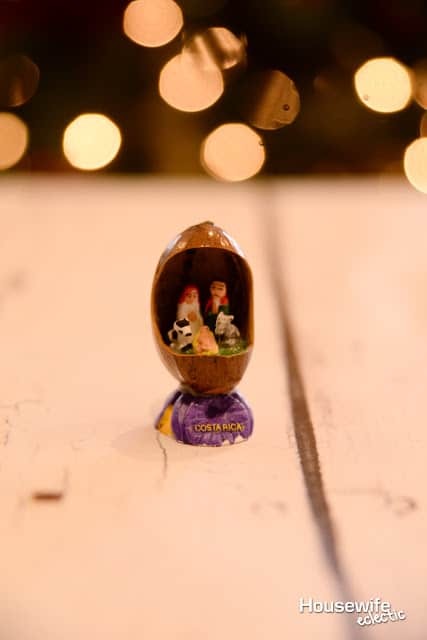 This teeny tiny one was handmade in Ecuador. 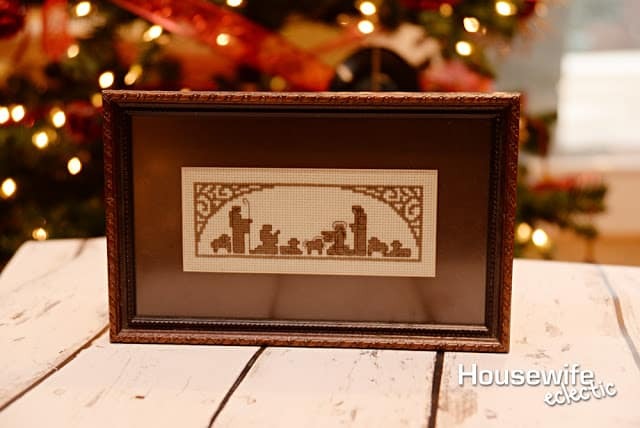 This beautiful Lace nativity Is one of the most beautiful pieces I have ever seen. 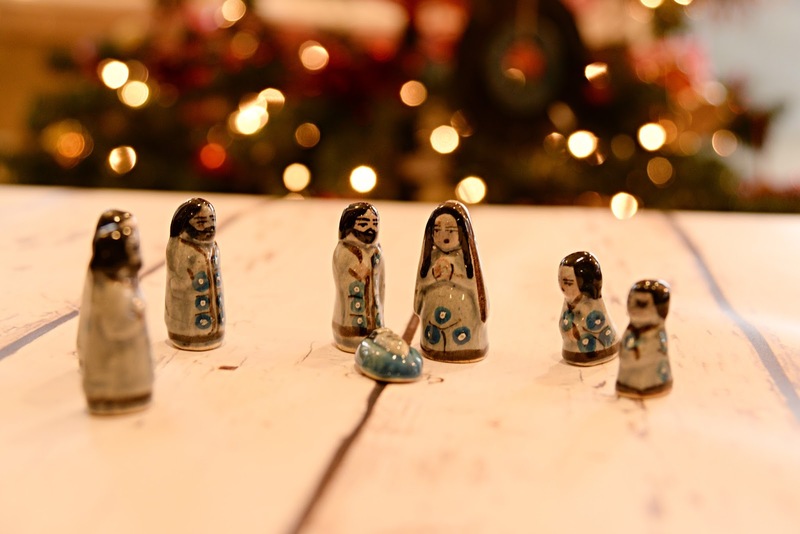 This porcelin one is a nativity I found with my grandfather’s things. I love the simplistic and beautiful nature of it. This beautiful set was handmade in Vietnam. I love the little animals! This one will always hold a special place in my heart. 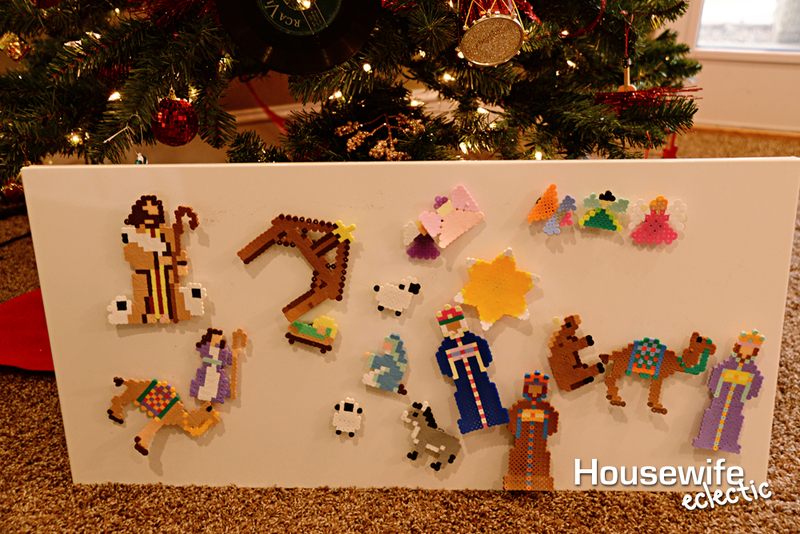 It is made by my nephews from perler or melty beads. One of my husband’s dear friends brought this one back from Jerusalem. This lovely one came from Hawaii. 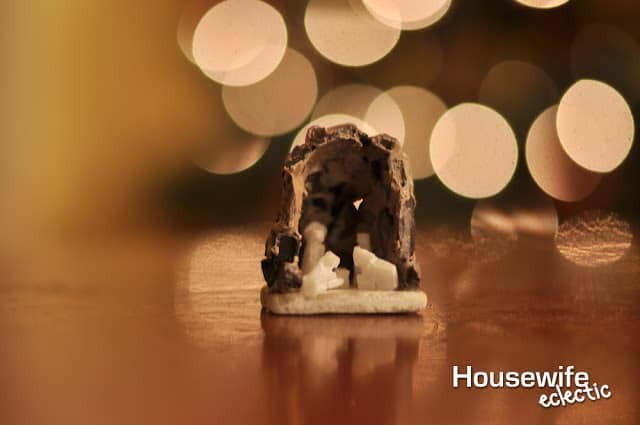 This little matchbox nativity plays Away in a Manger. These next few natives are actually my mom’s. 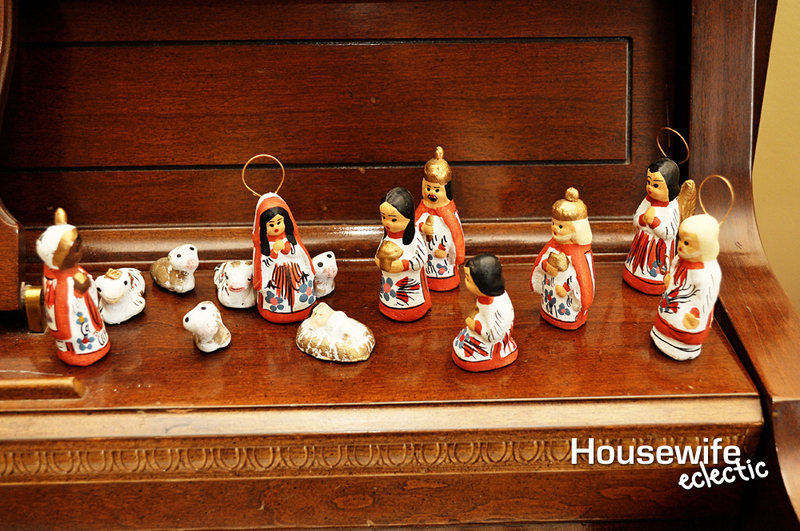 Her collection is what started me collecting, I had a bad habit of stealing the baby Jesus when I was a young child. I would carry him around in my pocket, just because I loved the piece so much. 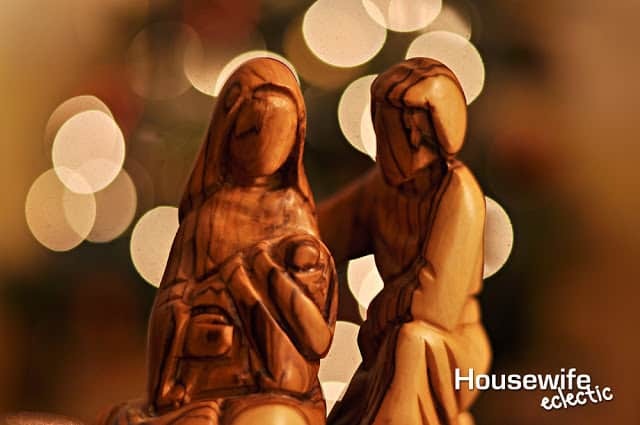 My mom would check the manger several times a day and then have to hunt me down to get the baby back. The first nativity is a Willow Tree nativity. I don’t have this one yet, but it is on my list! 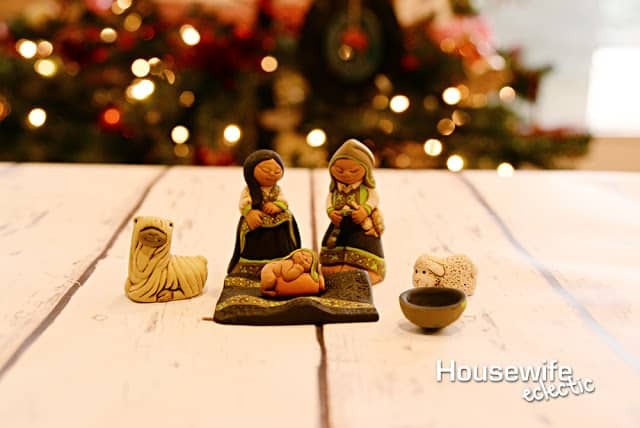 This beautiful nativity came from Hungary. My brother brought it home for my mother after he came back to the United States after living in Europe for a couple year. This is my absolute favorite nativity. My grandmother gave it to my mom when I was very young and this is the Nativity I used to take the baby from. 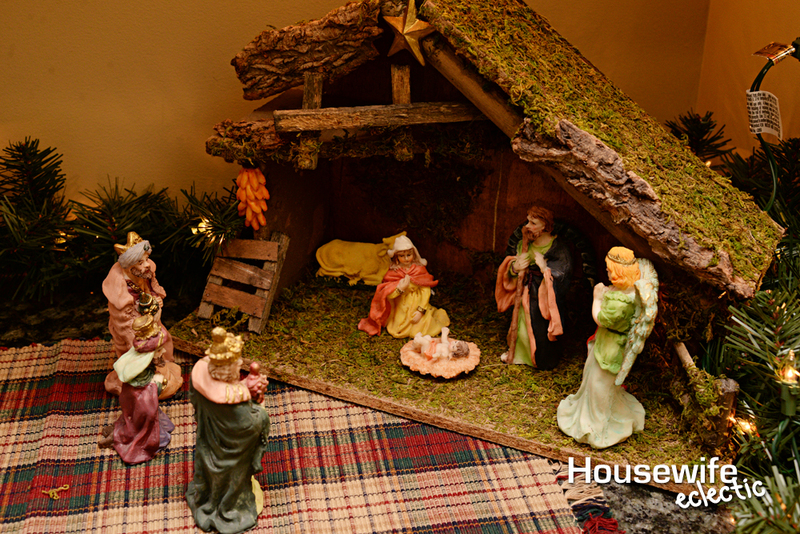 I still absolutely adore this one and setting it up every year for my mom brings a smile to my face. 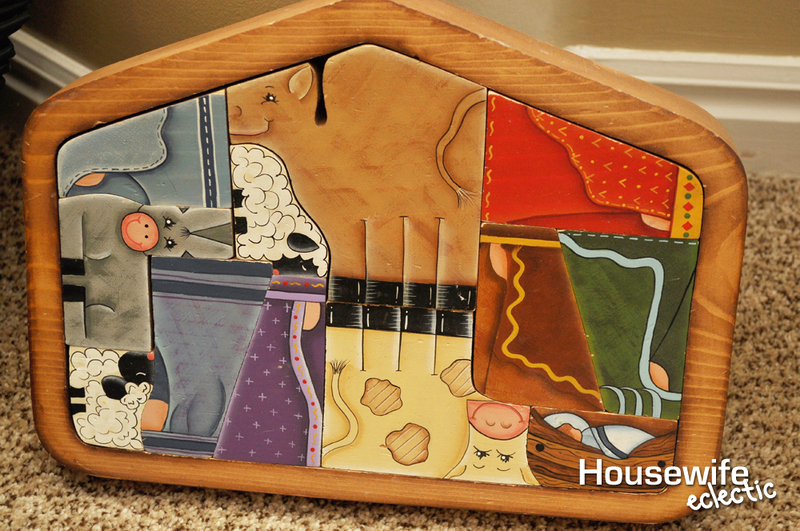 This fun nativity is a puzzle that kids can take apart and put back together. 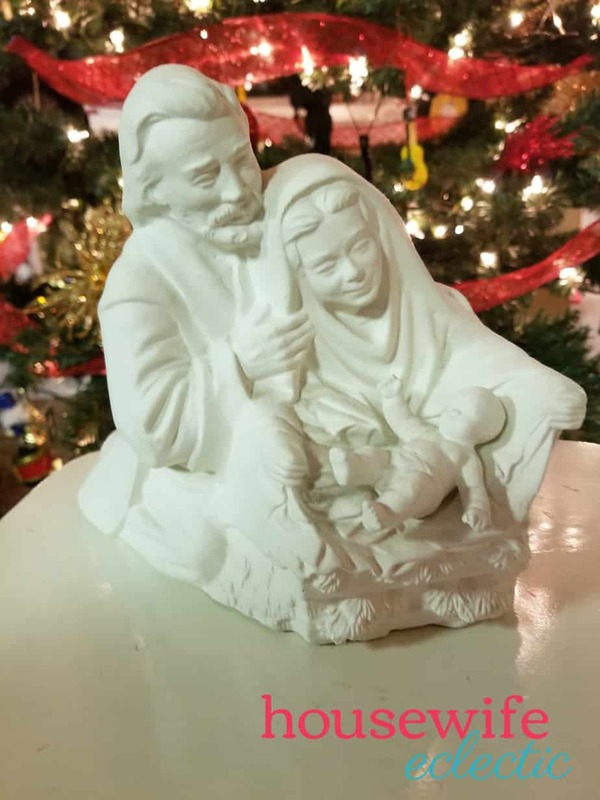 A beautiful nativity my brother bought back from Mexico. My uncle brought this one back for my mom from Germany. I love displaying all of my nativities together on my mantel surrounding a star! That is such a lovely collection! 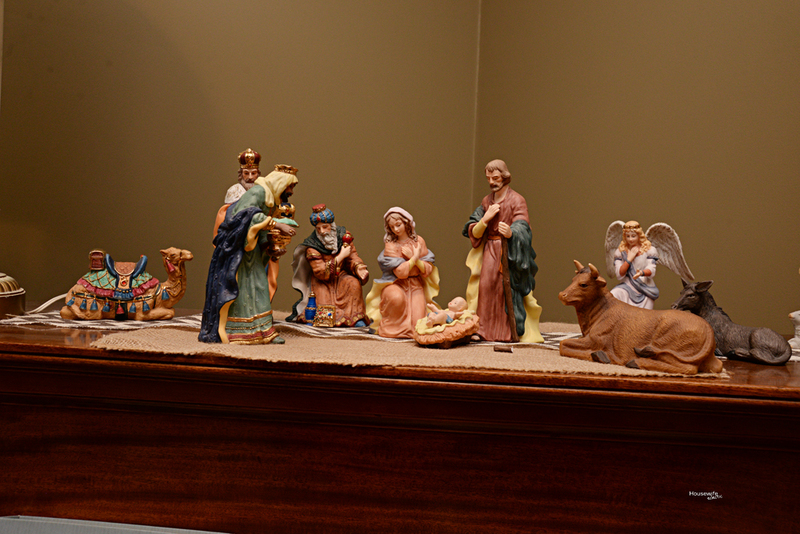 My parents have a stunning nativity made from olive wood from Greece, the wood grain and colours in it are beautiful! 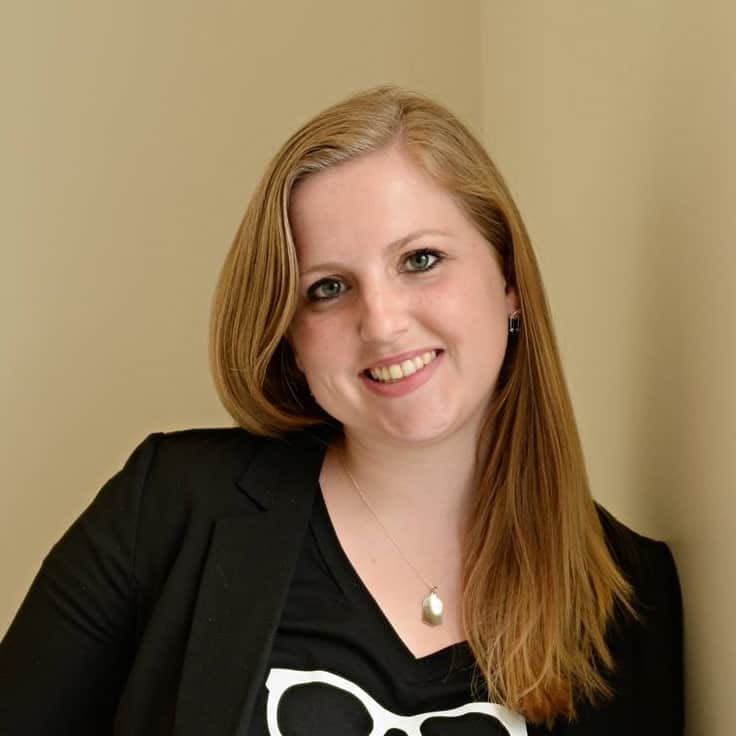 PS Im a new reader! That is a lovely collection you have. I think they are all really lovely sets. 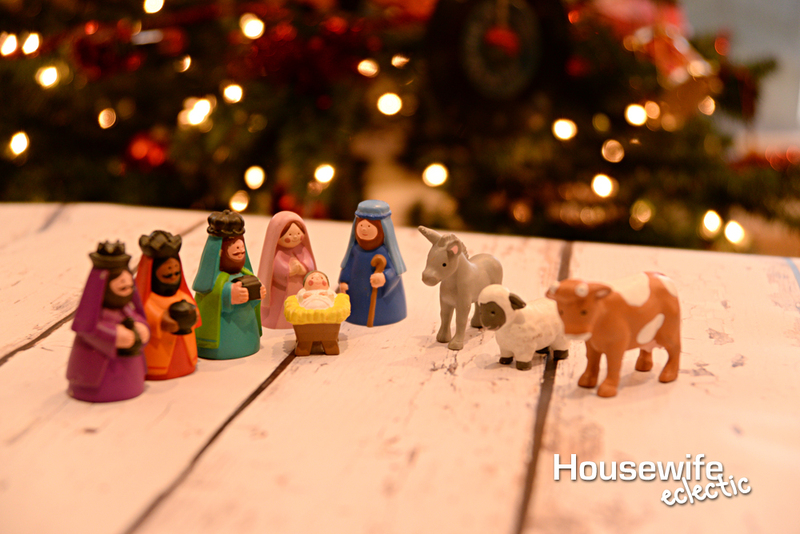 I love nativity scenes. They remind me of my childhood. 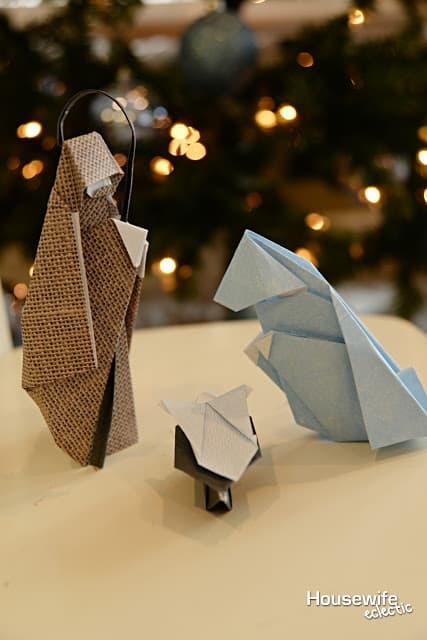 I can't believe your husband made the origami one. It's my favorite too. 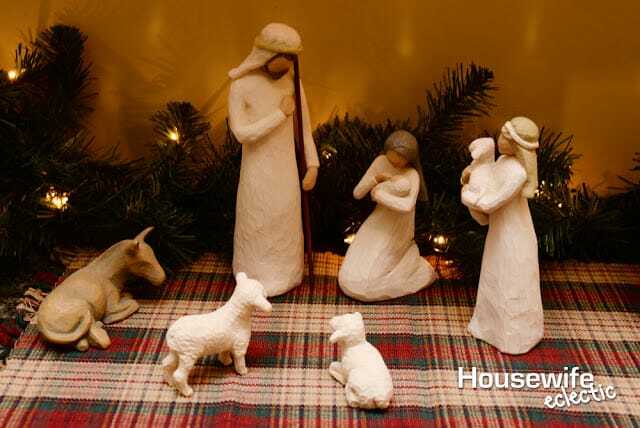 Those are some beautiful nativity scenes! I love how you still have the Mexican nativity that you got as a toddler. And that your husband supports, encourages, and embraces your hobby. 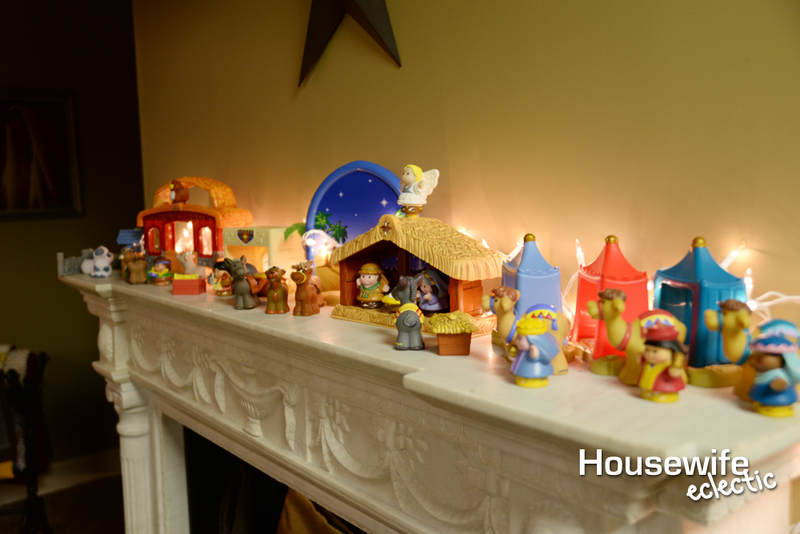 I don't collect nativities but happen to have a few. These are all so beautiful and unique. 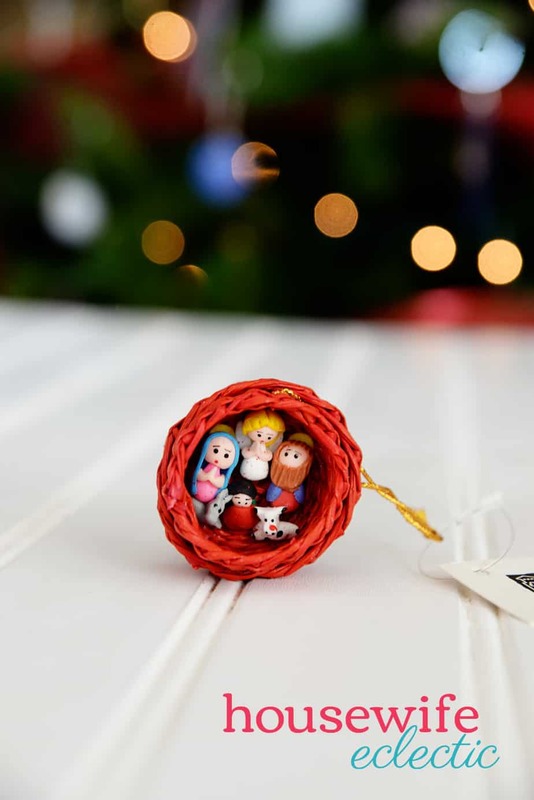 I love the one your sister got you because it's something I have never seen before. What an awesome collection to have. So amazing! This is such a beautiful collection and each has their own story to tell. Such a great collection! Beautiful to see so many variations and mediums! Thanks for the tour! Wow! I love the origami one that your husband made!! And I'm a huge fan of Willow Tree too. 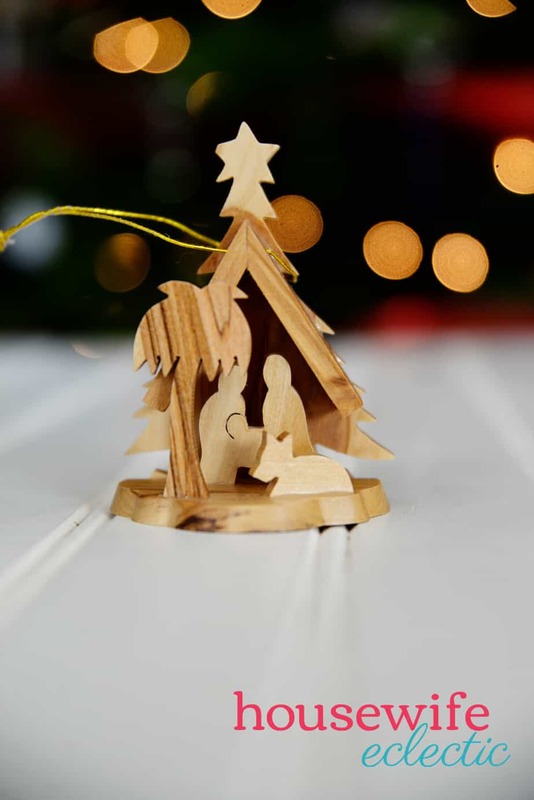 When I was a little girl my grandfather made me a wooden barn to put my nativity set in and I still put it out every year. I just love your collection. So beautiful. Your nativity collection is beautiful. 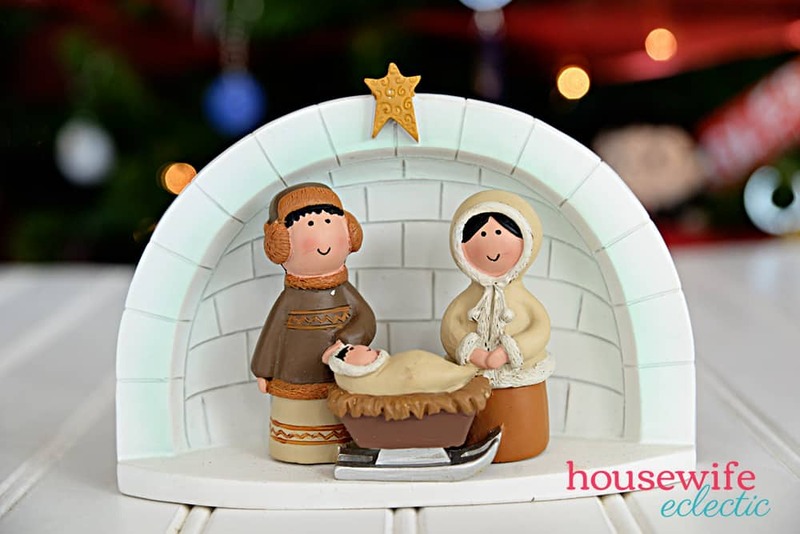 I grew up in Spain and the nativity scenes that people put up there were absolutely beautiful so I can really appreciate how lovely these are. Such lovely collection. Absolutely adorable!! Love that you believe and support fair trade and take the pains to make sure it reaches you through the right channel! 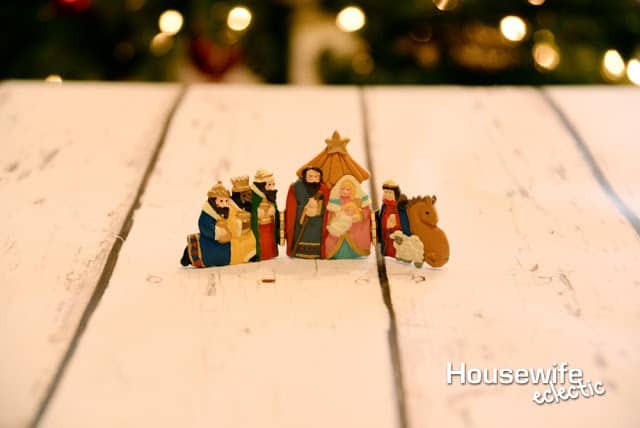 Omg so many awesome nativity scenes!!! You have one lovely collection that's for sure!!! These are all gorgeous. There is something classical about a nativity scene that I really like.